Ways in which we serve our community. Founded in 1972 by the churches of the Pennridge Community, Fellowship in Serving Humanity (FISH) is a food pantry serving the Montgomery/Bucks counties. The pantry is still in need of help stocking shelves, and would greatly appreciate any contribution. We no longer purchase paper products so donations of paper towels, tissues, and toilet paper are always welcome! Please consider donating non-food items such as shampoo, toothbrushes, toothpaste, deodorant, shaving items, soaps, cleaning supplies and laundry detergent. Monday and Wednesday - 3:00 pm to 5:00 pm. Thursday - 6:00 pm to 8:00 pm. Friday and Saturday - 9:00 am to 11:00 am. 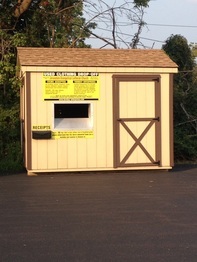 They are located at 800 West Chestnut Street, Perkasie, PA 18944. They can be reached by phone at 215-257-7616. For more information, please see their website www.pennridgefish.org. recycling paper, newspapers, catalogs, magazines, junk mail, weekly advertisement circulars, folders, construction and poster paper, shredded paper, spiral notebooks, office and church mail 24 hours a day, 7 days a week. It's easy to get started - just place an empty box near your trash at home or at the office and place your paper in the box. Then bring your paper with you to church once a week! Please drop off your recycle paper at our green and yellow bin located at the front of the church's parking lot. Let your neighbors know they can help out our church as well! Do you know of a local business, print shop, grocery store, or post office? Ask them to bring their paper to our bin. 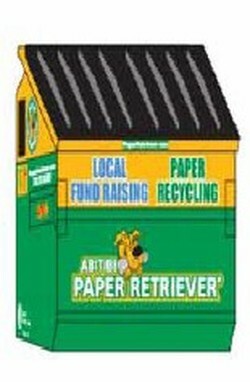 For more information, log onto www.PaperRetriever.com. or you can contact Paula Wiley at the church.